Hope you can help me hype this one! The 2011 NCAA season is about to end and my Alma Mater’s very own San Beda Red Lions is again on top of their game. As a way to honor our brave basketball team (and my School too! ), i decided to do a design that spells School Spirit. 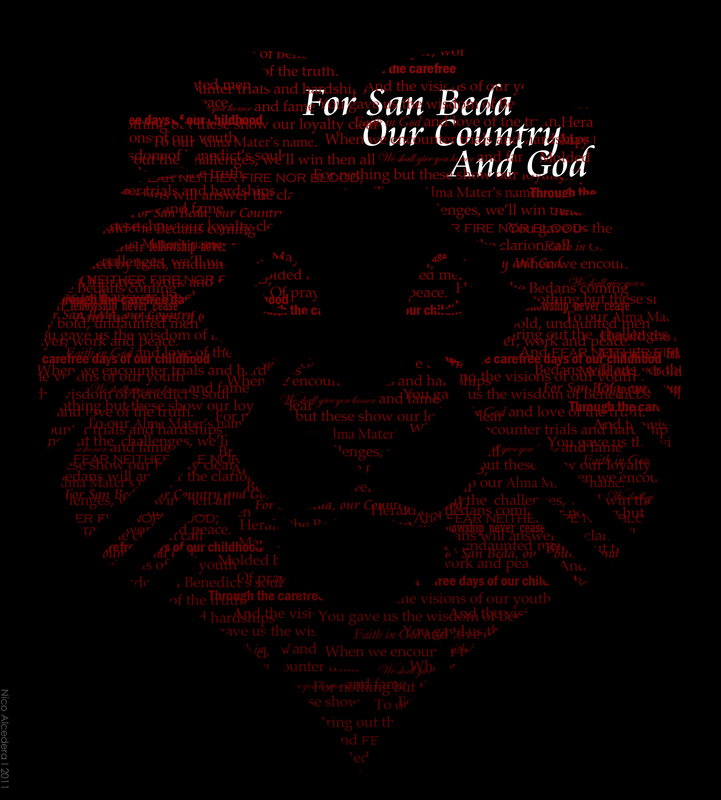 The image is composed of words from the Bedan Hymn.